← Porch Sale is Coming! 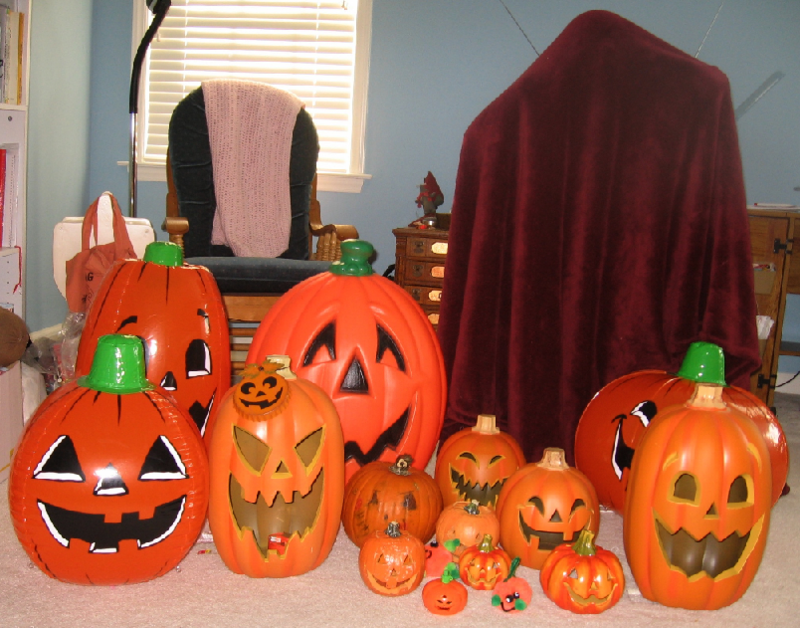 This week, in the midst of all the preparation for the porch sale, I received a visit from the Great Pumpkin and his friends (courtesy of the little ghost in the burgundy blanket). I was also able to get some Halloween decorating done in the house. I will post more pictures later, but here is what the mantel looks like. Nice assortment of pumpkins. The man in the grocery store told us yesterday that even canned pumpkin is going to be hard to get this winter so we should stock-up now if we want to bake for the holidays.